how it influences our brain and our productivity. Now first though: EXCITEMENT OVERLOAD ALERT! You know I’ve been hinting and teasing about what I’ve been working on and THIS is it. Snag it right here, my good people, because this baby is FREE!! All right, so sleep. I posted a post today and it was about how humans are actually the only ones, the only mammal species that sleep deprived themselves on purpose. Every mammal in the world is sleeping and nature has gone through exceptional lengths in order to make that happen. Dolphins, for example, which are the example that I gave, only sleep with one hemisphere of the brain at a time, in order to be able to stay afloat and to protect themselves when in the ocean. Nature has made it possible that they can switch brain hemispheres in order to sleep. For me, if nature is going that far, sleep has to be something important and I'm going to explain to you why. Basically if we look at sleep, you can compare it to hosting a party. You can be an amazing host and have all your guests and entertain them, have fun and be a great hostess or host but you cannot walk around and clean up after them. It's just awkward. You know, nobody's going to enjoy it. You will not do either the one or the other properly. It is better to entertain and host and then once everyone is gone, you're going to clean everything up. It's exactly the same process with your brain and sleep. Your brain and your body are not able to do everything. When they are conscious it is literally like a machine that's working and that you need to have repaired from time to time. So similar to your car, you know it's running and then when you go to the maintenance shop or you know once a year where you have an oil change done where everything is just jacked up and everything is repaired. That's what allows you to have a car for a long time. For example, old timers that are like 50, even 100 years old. They were not supposed to last that long. But people who take great care of them have been able to still run them today. You can't do it while you are driving and you have to actually stand still and take your time in order to do all of the repairs and it's exactly the same thing with our body. Our body and our brain are basically getting damaged throughout the day, because everything that we do requires a lot of effort. Like our heart beating, our cells producing things or absorbing things or receiving things or neurons triggering, sending off. You have little electric charges going off constantly. Your brain has to think, your brain has to feel, it has to process all kinds of things, so it's really a superb machine. Your body is a superb vessel, but it is going to be damaged and so sleep is basically taking care of that maintenance program. So what is happening when you sleep? If we talk about your brain, it is going to shrink and it's going to be flooded with a cerebral fluid that is helping to flush out any toxins. Toxins that might be in there have been shown to increase Parkinson’s, Alzheimer’s and Dementia. So it's really important to get rid of those. They've also shown that they can trigger your mood and I'm going to talk about that in a minute. What it does, your brain is creating little lesions, like teeny tiny fissures that are happening while you're thinking, while you are processing and so those are being repaired when you are sleeping. When you sleep deprive yourself, those repairs can't be done and it's affecting you because the next day everything is slowing down because it is basically not completely up to speed the way it should be. That's why I always have to smile when people are consciously sacrificing their sleep in order to get more done in a day. I mean we all have 24 hours, yet some people try to kind of hack their way through their life by sacrificing a couple of hours of sleep, which works. But let me tell you that it's not actually making you more productive. When you sacrifice your sleep, you sacrifice your intelligence. Research has been shown that you don't think as clearly, you don't think as quickly. You are not as focused when you are drifting off regularly. You would notice that pretty quickly so you would recognize my mind is not where it's supposed to be and you catch yourself when you are sleep deprived, that interval between you drifting off and actually realizing it is much longer so you're wasting time. If you look at the list of pros and cons, you will probably get things done, but first of all, they're not going to be of high quality and you'll probably have to go back in when you are rested in order to rectify everything that is rubbish. In the end it's not a useful deal. It's not going to give you that much of an advantage. Yes, if it's something like a no brain activity, like doing the dishes or something like that, okay. All right. But most of us do it in order to work and in that case I would say it's not worth it. Really it isn't. That’s one part of the brain. The second part is your psyche and your state of coping with stress and emotional triggers and so forth. So even if you don't remember your dreams, you are dreaming. The difference between people remembering their dreams and the people, who don't remember their dreams, is basically when you wake up after them. You can't imagine that being in ‘Dreamland’ and being in ‘Awake land’ has a kind of gap. If you wake up pretty quickly after your REM cycle, which is when you are sleeping, then you are going to remember. However, if you fall back into a longer phase of sleep, which is usually light sleep, then you won't remember necessarily. It doesn't mean that you didn't dream though. Your dreams are basically new territory. People have been studying it for ages, and still there are a lot of unknown things, but what is happening, is that your brain is triggering any impressions or thoughts or feelings or emotions or conundrums that it couldn't interpret during the day. So basically everything and anything that didn't make sense during the day that upset you and that you didn't want to talk about, is going to be dealt with in your dream, which is kind of a safe place. Your brain is uninhibited. It is just firing off impulses. It is not censoring itself. You are not going to get judged. It's basically really having a field trip of trying to make sense of things that it didn't manage to do during the day, when you were probably censoring yourself with your frontal cortex, which is just a very fancy word to say your new brain, that is your reasoning and logical brain. So what is happening if you don't get enough sleep is that it can't do that process and things are just adding up and it is getting more and more difficult to deal with stress, because it's just piling up. And that is why depression and anxiety have been connected to sleep deprivation. It’s a kind of chicken and egg situation. It's not necessarily clear, whether anxiety and depression were there first and therefore sleep was inhibited; or whether sleep was first missing, and then the depression and anxiety came. 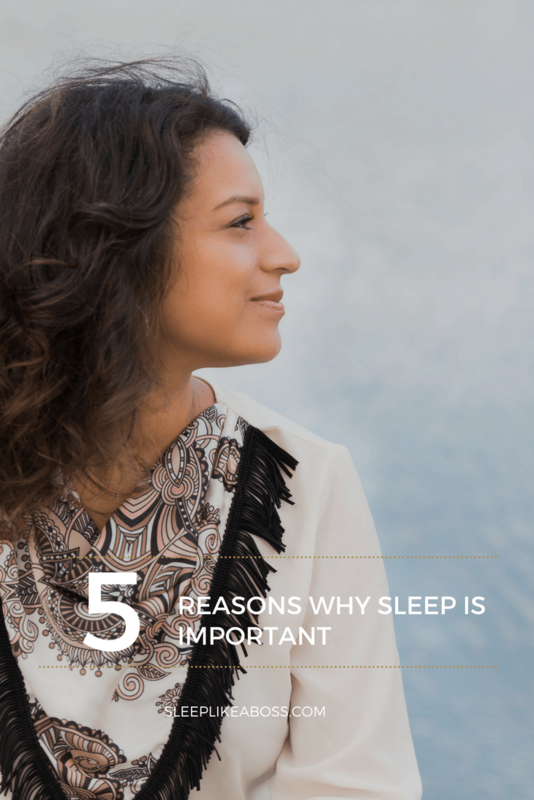 It has been shown though that sleep deprivation is more likely to push you towards the direction that you naturally tend to. So let's say you have a predisposition towards depression, then a chronic sleep deprivation pushes you towards that actually being triggered a lot more, than if you've got the rest that you needed. 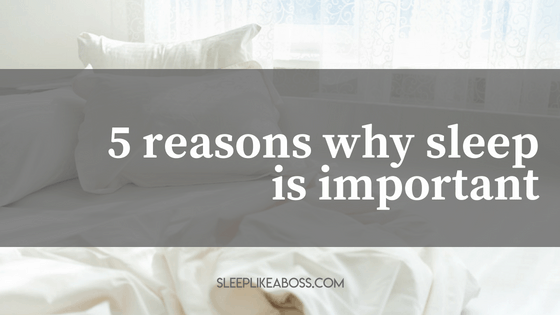 There are lots of different reasons here why you should really, really make sure not to neglect your sleep. Apart from that, it's obviously going to affect you and your mood and the way that you treat yourself and the way you talk to others. I think everyone knows that, but I just wanted to explain a little bit further why that is happening. It's basically because of dreaming and then of course your brain also has to be relaxed and be more resilient and that is also happening in your sleep. It's just having everything to be more polished and to work better. So we had our brain, we had our mood. Next we're going to talk about the body, in terms of cells and hormones. As I've explained before, your body is basically going through damage when you are living, which is okay. It’s a lovely price to pay in order to get up every day and have the luxury of living our lives. But our body is a vessel, a kind of machine and we need to take care of it. So what is happening is that throughout the day your hormones will most likely be imbalanced a little bit. You can already start when your alarm clock is ripping you out of sleep and you have a cortisol stress spike, because it's an alarm clock. The name even says it. It's just like your pulse is up. Then you have coffee that is going to rise your cortisol even further and then different things throughout the day are going to affect you. At nighttime the body tries to rebalance those hormones to homeostasis, so that the next day you can start with a clean slate. Hormones are being rebalanced; cells are being repaired, cell damage is being repaired. That's why, when you are sick or when you have a wound, the next day after you sleep, everything is just better and it's because the body does tremendous work during nighttime, when it doesn't have to move about. It doesn't have to be active in order to focus on repairing. That’s why people, just after a couple of days of sleep deprivation, look a lot older. It’s because the body can't cope with regenerating those cells. Your skin is the biggest organ. It's definitely going to react to your sleep. That's why we can see very quickly, whether you've slept enough or not. But if you get sleep deprived for long, the hormone imbalances and deregulations are going to get worse and worse. So they are really going to be more difficult to rebalance and that's when you have to kind of help your body to do that and you can do so naturally. You don't necessarily have to immediately take synthetic hormones. You can use different plants. Ashwagandha root, it's one that helps with hormones. It's a hormone adapter ‘adaptogen’. You can use DIM, DIM PRO, which helps, especially women with estrogen issues. There are different things you can do in order to help your hormones and cells to repair. Your diet is obviously going to be crucial as well. You need all those nutrients and all those fats ready in order to be used during nighttime. Finally, I'm going to talk about pain. It's again a chicken and egg situation. Studies have shown that when you take a group of people, you split them in two groups and you have them hold their hands into a bucket of ice water, full of ice. And they basically measured their response time. And then one group was allowed to go home and sleep and the other group had to stay and was consciously sleep deprived. 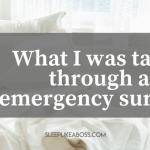 The next day they did the same experiment and the pain threshold of those who didn't get enough sleep was a lot lower. The experience of pain is going to be emphasized a lot more when you are sleep deprived. On the other hand, if you have pain, your sleep is going to be interrupted as well. It can be tricky, but if you work on both ends, kind of to help your body to be healthy as can be, plus helping your pain to subside, then I'm absolutely for taking painkillers, just for a certain moment, in order to get the sleep your body needs to get back into balance. If on top of that you have your body be as strong as possible, then you should get out of that vicious cycle very quickly. It is definitely a light at the end of the tunnel. Those were the five points that we talked about today. 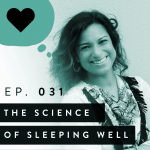 We talked about brain and productivity, your mood and your psyche, your cells and hormones, your body in general, and about pain and pain perception and how you can influence that. I hope this gave you a little bit of an impression why sleep is so important. Again, there are two categories of people. The ones who sleep deprive themselves consciously, because they don't have enough hours in the day and then there are those who do everything right and who desperately want to sleep but can't. If you are in the latter category, then I'm inviting you to comment on my facebook live on my facebook page, www.facebook.com/sleeplikeaboss.com. Find this video, which is called ‘Why sleep is important’. Just shoot a comment and I will send you my free video series ‘3 simple steps to sleep’ and it is packed with information. You get bonus videos as well and it's just a really incredible thing that I've just produced and I'm super proud of. I hope this helped. Leave a comment and if you ever have a question then just send me an email and I will get back to you. I wish you a wonderful night, so that you'll have a beautiful day tomorrow.